This product is part of a kit! Get 15% off L-Tyrosine and more with our Energy Kit. Tyrosine competes for uptake with other large neutral amino acids, so in order to maximize absorption from the supplemented tyrosine into various tissues (such as brain, adrenals, nerves), it should be taken on an empty stomach, or two hours away from a protein-containing meal. Then it will amp up dopamine levels which is a major way of treating depression naturally. It will also help to alleviate symptoms of a chronic bad mood (aka anger) as well as addictive symptoms. It is best when combined with SAMe. Take 2-4 capsules 2x daily. My husband struggles with anxiety, depression and rage at times. These pills have been a miracle for him. He does not struggle with rage if he takes them. He is noticeably better. He feels great when he takes them . He loves this supplement. It has helped him greatly!! I read about this stuff and how it helps you control your hunger and make you feel good. I saw the price and estimated it would last me 3-4 weeks if I used it daily as prescribed and so I got it! AMAZING! I feel great on the days I take it. I’m more focused, feel less stressed, and I’m not as hungry between meals so I don’t snack on bad things late in the afternoon. I plan on being on this supplement for a long time! I’ve been suffering with depression and anxiety for years. While I do take a prescription anti-anxiety medication, I found that I still sometimes struggle with being in a rut. Work has been stressful lately, and I’ve noticed I have a much poorer quality of sleep and I am even shedding excess amounts of hair! The day I received this, I took one capsule twice that day (in the afternoon and then before bed) and woke up the next morning motivated and without that sense of dread that often consumes me. I got up, showered, did housework, ran errands, cooked dinner, and was thinking “what has gotten into me today?” because usually on my weekends, I am so unmotivated and lazy that I end up watching movies/tv and napping the weekend away. I took 2 more capsules that day and woke up the following day also motivated. I really didn’t connect the two things together but after several consistent days of energy and motivation, I really think this supplement is to thank-you. Great product for a boost of concentration. It has helped me focus in a classroom setting, while reading and during my daily work activities and responsibilities. I love this, I feel that I am nicer to others while I am saying no (to treats) better than before. It also helps with cravings. I take 2 in the morning and 2 when I get home from work. This helps me not to eat everything in the kitchen while I am making a healthy snack/dinner. I started taking this before working out to see if it would help from avoiding soreness and fatigue later in the day. After the first few days I started to notice I didn’t want to go take a nap for lunch. Also, my tendons aren’t as sore as I recall before starting L-Tyrosine. So far, it helps me deal with the intense workouts I do first thing in the mornings. Highly recommend this. Helps with so many things, especially mood cure, motivation, focus, hormones etc. Love this stuff!!! 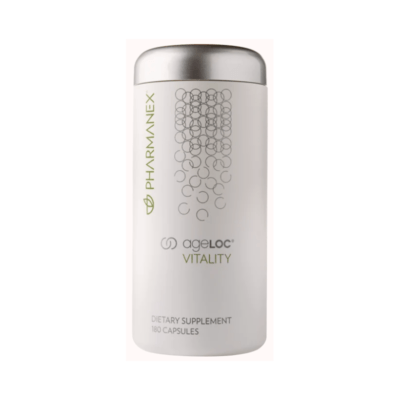 Suffered from post menopausal depression, mood swings and lack of energy….this boosts your alertness and stabilizes your mood, and gives a feeling of well being and contentment! It really, really works…. Wonderful product, helps with your thinking and ability to deal with day to day responsibility, stopped yelling at the kids, stopped getting pissed of at insignificant stuff. If your reading this, then your considering buying it, trust me, buy it! I will say that since taking this my dreams have become very vivid. Fantastic product. Took the edge off of day to day stress. I am not irritable any more. My wife loves it. Hands down the best thing Ive taken to help relieve my depression. I can feel music and and enjoy movies again!